They were big in Australia, but as politics slowly began to inform their lyrics, the band soon began taking off worldwide, and now, with an epic two-disc retrospective out, Rob Hirst walks us through Midnight Oil's entire career, and what a journey it is. Anyone growing up around MTV or contemporary radio in the late '80s probably remembers a song that literally seemed to jump out of the airwaves thanks to three distinct chords that sounded like a horn blare. After that blast and a funky, chugging guitar and bass riff, the song became even more distinguishable when Peter Garrett's thick Australian accent declared "Out where the river broke..."
For most listeners outside of Australia, this -- their iconic single "Beds Are Burning" -- was their first exposure to Midnight Oil. But by the time Diesel and Dust was released, the band had been battle-tested for more than a decade by playing in packed Australian pubs, recording five albums, and touring internationally. For almost 15 years after the worldwide commercial and critical success of their breakout album Diesel and Dust, Midnight Oil continued to extensively tour the world. During that time, Peter Garrett's political aspirations and activism continued to run parallel with his work in the band (in 1993, Garrett joined the international board of Greenpeace). In between raising new families, and touring, the band released five more albums that straddled the line between staying true to their traditional sound, and at the same time, staying relevant as grunge, electronica, and garage rock had their heyday. Since their breakup in 2002, drummer and founding member Rob Hirst formed The Break, an instrumental surf band made up of ex-Midnight Oil members as well as former Violent Femmes bassist Brian Ritchie. In 2003, Hirst wrote Willie's Bar & Grill, which was about Midnight Oil's U.S. tour in 2001, shortly after the September 11 terrorist attacks. 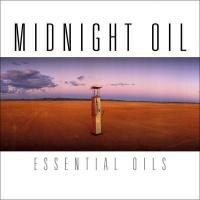 Hirst, along with the rest of the band, selected the songs that are featured on Essential Oils, a two-disc collection of Midnight Oil's greatest hits, which was released in its physical format earlier this year. Hirst's origins with Midnight Oil began in the early '70s when he formed the band Farm with guitarist (and fellow Midnight Oil member) Jim Moginie. The band played a hodgepodge of progressive and classic rock and rehearsed in Hirst's garage. "We lined the garage wall with egg cartons to dampen the noise," Hirst said in talking to PopMatters. Farm eventually morphed into Midnight Oil (the name was chosen in the most diplomatic way in rock: by drawing a name out of a hat). Hirst placed an ad for a lead singer, and a 6-foot 4-inch Australian National University student named Peter Garrett showed up to audition. Garrett was pursuing a combined degree of arts and law when Midnight Oil began cutting their teeth on Australia's emerging pub rock scene. The band began amassing a surfer-type following at the Royal Antler Hotel. Other bands like AC/DC, The Easybeats, and Skyhook were playing in pubs affectionately known in Australia as beer barns, which could hold almost two thousand people. The combined mix of a thousand-plus capacity pub environment and large quantities of alcohol forced the band to rethink its sound. "Very quickly, we throw off the prog rock and the pop and concentrated on the energy and the power," Hirst said. "By the time we got to our second album [the aptly-titled Head Injuries], the band had been completely transformed." Hirst described the pub shows as "gladiatorial." The band was forced to obtain massive PAs to compete with the audience noise. To appease a primarily male audience, shirtless and drenched in beer, the songs had to be loud and fast, and the shows had to be amazing, Hirst said. The tough crowds only helped the band by the time they began to get a following outside of Australia. "When Midnight Oil started to get a college crowd in the '80s, we felt we could take on anything," Hirst said. During the early '80s Midnight Oil took the decidedly traditional path to gaining worldwide recognition by gaining footholds in college radio and incessant touring. The band had achieved enough commercial success to be able to record a few albums outside of Australia. Their album, 10, 9, 8, 7, 6, 5, 4, 3, 2, 1 (or "ten-to-one" for short), was recorded in London. Led by songs like "Read About It" and "Power and the Passion", the band began playing dates in San Francisco, Chicago, Washington D.C., and Boston. In 1986, Midnight Oil turned its focus back to its homeland with a tour that was later turned into a film. Touring with the Warumpi Band, an Aboriginal band that recorded on Midnight Oil's independent Powderworks label, the tour was dubbed the Blackfella/Whitefella tour. The bands spent months playing in remote Australian Aboriginal villages. "It was a life-changing event for all of us," Hirst notes. Instead of large clubs and areas, the band played to small groups of people during the Blackfella/Whitefella tour. The environment was a mix of calm desert beauty and broken down cars, dilapidated shelters, and stripped trees (cut down for firewood) that "turned the place into a dust storm," Hirst said. During the tour, Hirst kept a diary and the culture as well as poverty he was exposed to served as the foundation to the lyrics that would become Diesel and Dust, their most commercially successful album. While on tour, the band members realized that the "fast and loud" approach to performing wasn't conducive to the intimate surroundings, and as a result, the band began to slow down its sound. When it came time to record Diesel and Dust, the experiences gained from the Blackfella/Whitefella tour translated directly to the album. For instance, the drumming rhythm behind the song "The Dead Heart" was inspired by sound of the axles of their four-wheeler vehicles bashing against the corrugated roads of the desert, Hirst said. Hirst chose that particular song to represent Midnight Oil as a whole. "That's a piece of music which could only have come from our band and a time and a place," he continues. Diesel and Dust was a worldwide hit for Midnight Oil. The album went platinum seven times in Australia, and went platinum in the United States. Though the success of Diesel and Dust was quick, it came almost ten years after their debut album. "Suddenly we needed to be everywhere at once," Hirst said. "Perhaps if you were a band starting out, that would have been completely overwhelming, but we were used to each other and we were used to long touring and criss-crossing countries." In addition to achieving worldwide recognition, the members of Midnight Oil were also dealing with becoming parents. Hirst said 11 kids were born between them during their commercial heyday. Hirst's daughter, Alexandra was born in 1986. His other daughter, Ella, was born in 1990. "You could actually date them from the times we were back in Sydney," Hirst says with a laugh. Diesel and Dust was released at the perfect time in the United States. That same year, U2 released their classic album The Joshua Tree. Other artists and bands were also showing they could make socially-conscious music and still be on MTV. Tracy Chapman, Public Enemy, and R.E.M. led the pack. And in 1989, an Exxon oil tanker spill in Prince William Sound, Alaska helped galvanize a renewed public interest in environmental issues. During the time of the Exxon Valdez cleanup, Midnight Oil was in Sydney working on an album that was supposed to do nothing less than be the follow-up to The Oils' own Joshua Tree (in 1989, Rolling Stone placed Diesel and Dust at number 13 of their list of Best Albums of the '80s). Blue Sky Mining took on a darker sound than Diesel and Dust. Songs like "Antarctica" and "River Runs Red" directly addressed the environment, while other songs confronted societal ills. The biggest hit on the album, "Blue Sky Mine", addressed the mining town of Wittenoom, and the blue asbestos-related illness suffered by mine workers. Despite the dark subject matter, Hirst notes that "it was a joyful album to make." Blue Sky Mining went gold in the United States. While it didn't achieve quite the commercial success of Diesel and Dust, it kept the band on the road for another concert and festival circuit. In May, 1990, the band performed a lunchtime concert on a flatbed truck to more than 10,000 fans and curious onlookers in New York City in front of the Exxon building with a banner reading "Midnight Oil Makes You Dance, Exxon Oil Makes Us Sick." Around 1992, Hirst said the band began to run out of steam, juggling the responsibilities of a band as well as family life. "I don't mean to suggest in any way that we weren't grateful for the massive international success that we had," he tells us, "but the touring load was becoming incredibly exhausting and demanding." By the time the band entered the studio to record their follow-up, the recording sessions began to drag, partly due to the wear-and-tear accrued from the last two tours. "Seasons came and went while we were still making that album," Hirst laughs. In addition to fatigue, the band saw an entirely different musical landscape in 1992 and 1993. While trying not to follow the newer music trends like grunge, Hirst said they still were influenced by the spirit behind that movement's rise. As a result, Hirst said he wanted to "record with anger" and get songs down in the first take. As a nod to their roots, the band returned to producer Nick Launay (who produced their 10-to-1 album) to record Earth and Sun and Moon. "We loved that album," Hirst declares, "but I think when it came out, it perhaps was rather perplexing to people who were also receiving the latest Nirvana album." Earth and Sun and Moon had an organic sound that reflected its title. Heavily melodic, it also contained the song "Truganini", which just by the thumping bass line and rousing chorus, seemed to assure Midnight Oil of a hit song to rival "Beds are Burning". The namesake of the song was widely believed to be the last pure-blooded Tasmanian woman in Australia. During her life, she suffered through a disastrous relocation effort by British settlers that resulted in the deaths of the majority of the 100-plus Aboriginal relocated from influenza and other diseases. "We had a breakout song," he recalls, "but the record company [Columbia] came back and said 'Look, we don't think people know who or what is a 'Truganini'." Hirst countered that for generations, Australians were exposed to British and American culture. Hirst thought American and British audiences could handle a song written about an important cultural event that happened in Tasmania. The label thought different and abruptly stopped promoting the single, Hirst said. "They disagreed, and we lost the momentum, and really after that, we never really regained the momentum in the United States." Momentum may have slowed in the United States, but internationally, the Oils were still going strong. In 1994, the band played in South Africa after Nelson Mandela was elected president. Other bands had lifted their ban on playing in South Africa after the end of apartheid, but Midnight Oil deliberately waited until Mandela's election to perform. In Johannesburg, they played an outdoor concert with Sting. Hirst said he hoped to eventually release the concert as a live album within the next year or two. "We had thirty to 40,000 people singing ("The Dead Heart") in three, or four, or five part harmonies. It was just spine-chilling," Hirst recalls. In 1996, Midnight Oil released Breathe, a dark, murky, and occasionally weird album (in the best possible sense). It was recorded Daniel Lanois' Kingsway studio in New Orleans. While recording, Hirst said the air conditioning rarely worked, which forced the band to record from midnight to dawn when it was cool. "There was a deliberate attempt to move away from the strum and drum of the earlier albums," Hirst said. For Breathe, the band worked with producer Malcolm Burn, who during the same year worked on Patti Smith's well-received comeback album Gone Again. "I knew what Malcolm was chasing, and I loved the different sounds we managed to get on [the album]." The guitars and drums on the album were detuned to capture a sound unlike any other Midnight Oil album, Hirst said. While some tracks like "Surf's Up Tonight" became live fixtures, Hirst thought Breathe should have been mixed with one of Midnight Oil's previous producers to give the album a brighter sound. "That kind of nervous energy that we were known for was lacking on it," Hirst notes. If Breathe was the sound of a band embracing a slower, mellower sound, Redneck Wonderland was the sound of a band snapping back to its protest roots. Recorded during the same time as the rise of Australia's conservative, anti-immigration One Nation party, Hirst described Redneck Wonderland as an angry record. "Our whole time together has always been reacting against what we've just done," Hirst recollects. "It's quite perverse in a way." Redneck Wonderland returned to prominence in 2012 thanks partly due Sixto Rodriguez, who was the subject of the Oscar-winning documentary Searching for Sugar Man. Rodriguez's cover of the album's title track has become one of his live staples. The friendship between Rodriguez and Midnight Oil dates back more than thirty years when they toured together back in 1981. After Redneck Wonderland, Midnight Oil released their final full-length studio album, Capricornia. Though the album was officially released in 2002, the band toured the United States to promote it in 2001. More specifically, they were touring mere weeks after the September 11 terrorist attacks. During the weeks after the attacks, there was widespread speculation about when (not if) the next terrorist attack would occur. During this time, the band debated canceling their tour. "But we said 'What the hell, we've got to actually go.' And it turned out to be one of the most heart-warming and successful tours that we've done in the states," Hirst said. Hirst kept a diary of the tour and later turned it into a book. Willie's Bar and Grill was released in 2003. While going over his journal notes from the 2001 tour, Hirst told a friend who was a journalist that he was considering publishing a book. Within a week, Hirst said Macmillan Publishing wanted to publish the book. The only problem: it hadn't been written yet. To jump-start his writing, a father from the same school that Hirst's daughter went to recommended Hirst write "a singing book." "And then it clicked," Hirst said. "I'd just write as if it were a long song." To make the deadline, Hirst woke at 4 a.m. and wrote for four hours. During this time, he read P.J. O'Rourke and Bill Bryson's travel writings for inspiration. He managed to finish the book in five months, including changes made from his editor. The name "Willie" in the book's title was in reference to Willie MacInnes, who was Midnight Oil's road manager, along with the Violent Femmes and INXS. Hirst said MacInnes routinely lifted the band's spirits when they would become cranky and "incomprehensibly Australian." "After a really bad show, there'd be these big bladders of steaming hot chowder, Fed-Ex'd from Boston," Hirst laughs. "Don't you love the '80s and the '90s? It sounds incredibly indulgent and bourgeoise." Midnight Oil officially called it quits in 2002 after Peter Garrett decided to pursue politics full-time. In 2004, running as a member of the Australian Labor Party, Garrett was elected to the House of Representatives. Garrett currently serves as the Minister for School Education. Midnight Oil reunited twice since their 2002 break-up. For both times, they reunited for the purpose of a benefit concert. The first one was a concert for the victims of the 2004 Indian Ocean tsunami. The second concert was for the victims of a 2009 bushfire in Australia that killed more than 170 people. Since the breakup, Hirst has formed his own band, The Break, with former Midnight Oil band members Jim Moginie and Martin Rotsey as well as Violent Femmes bassist Brian Ritchie. Originally, the members looked for a lead singer, but preferred making instrumental surf music. The band released their second album, Space Farm, this year. "[Midnight Oil] always promised ourselves we'd make instrumental surf music at some point," Hirst tells us. "Midnight Oil never got around to it." Since Midnight Oil broke up, environmental concern has gone in and out of the public conscious. The BP Oil Spill in the Gulf Coast, the earthquake-triggered Fukushima nuclear disaster, and the science debate surrounding the relationship between climate change and hurricane strength have brought the environment into the public spotlight. However, when surveyed, anxieties about the economy and jobs routinely trump the environment when it comes to issues people are concerned about. Hirst likened the environmental movements over the past 30 years to the tide. "You can't sustain the passion for something all the time, but you remain consistent and true and learn about it," Hirst said. The double-disc greatest hits collection Essential Oils represents a definitive history of the band as well as the causes they campaigned for in their 25-year history. Assembling the collection became an emotional experience for Hirst because he rarely listened to the band's material. One night, Hirst decided to give Essential Oils a final "front-to-back" chronological listen. "All the memories, the studios we played in, the producers we worked with, the cities where we wrote and recorded, the band politics at the time, and general world events ... all this came flowing back, and I was really quite moved."